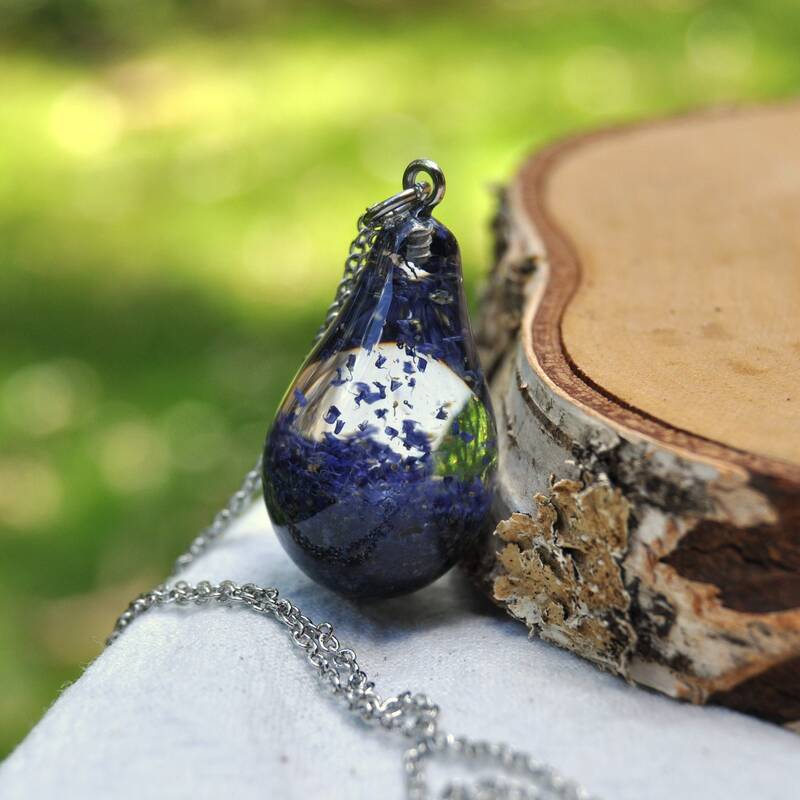 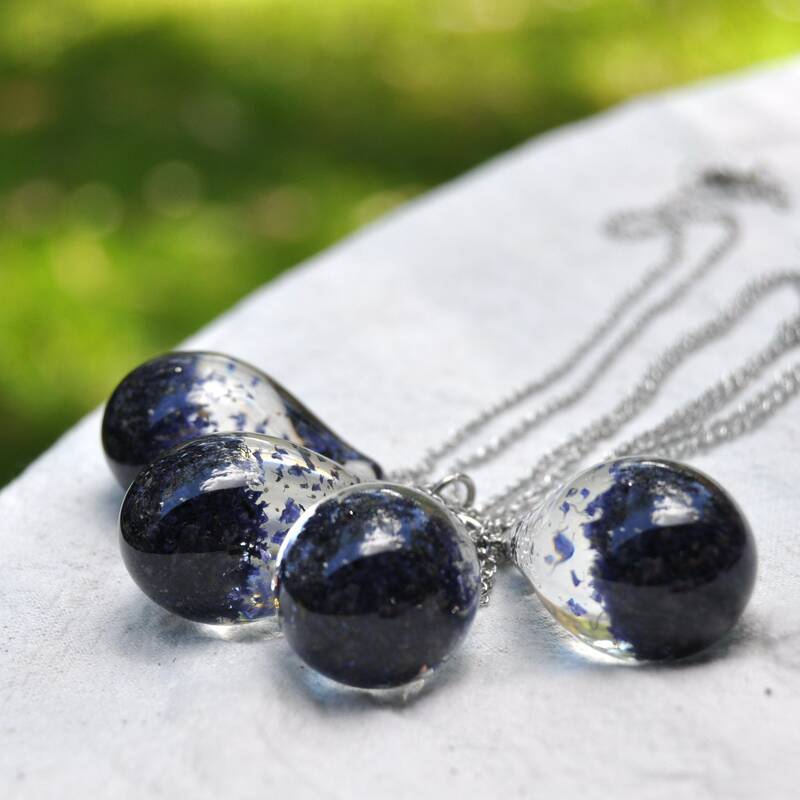 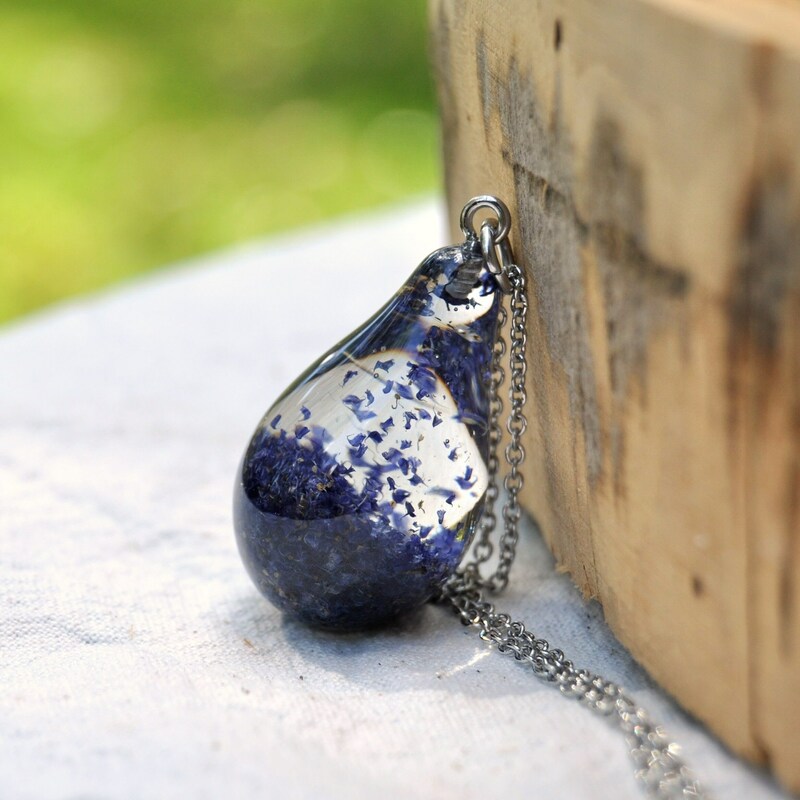 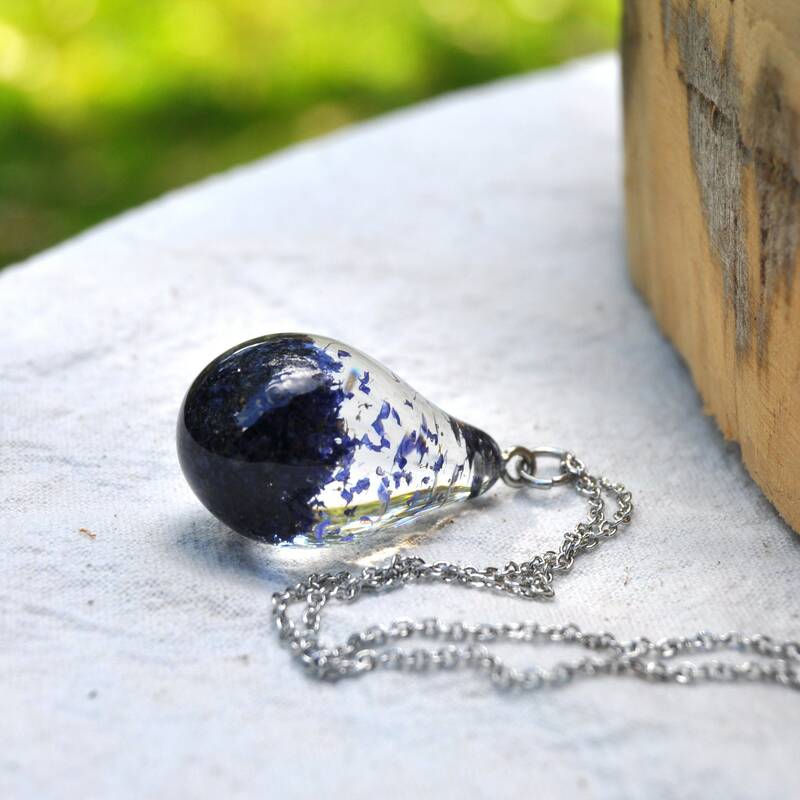 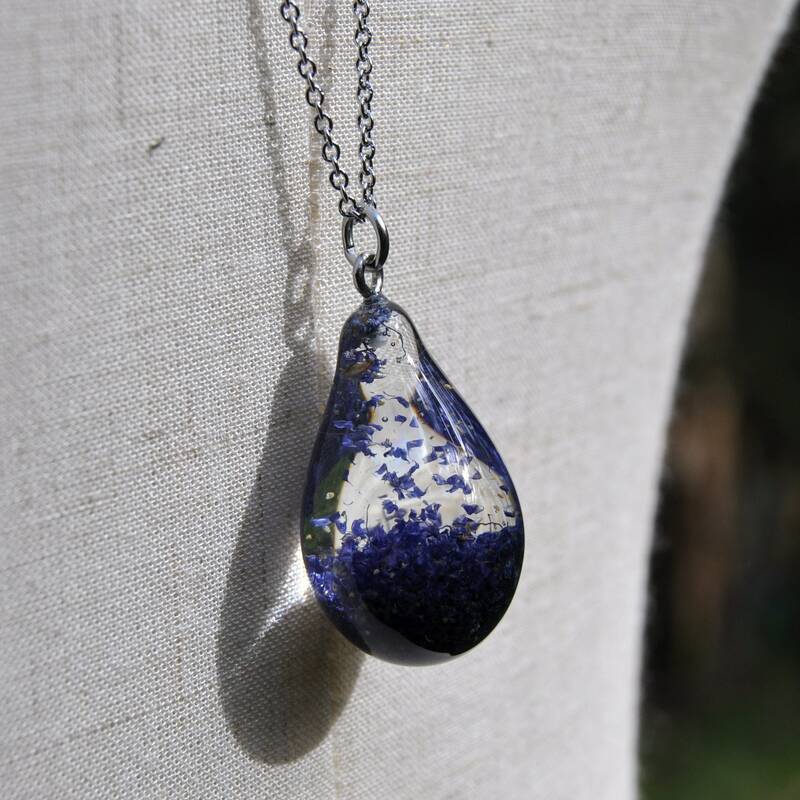 This beautiful rain drop necklace captures a fleeting moment in time, as the Wild Lilac drops its tiny flowers to earth, forming a carpet of blue beneath. 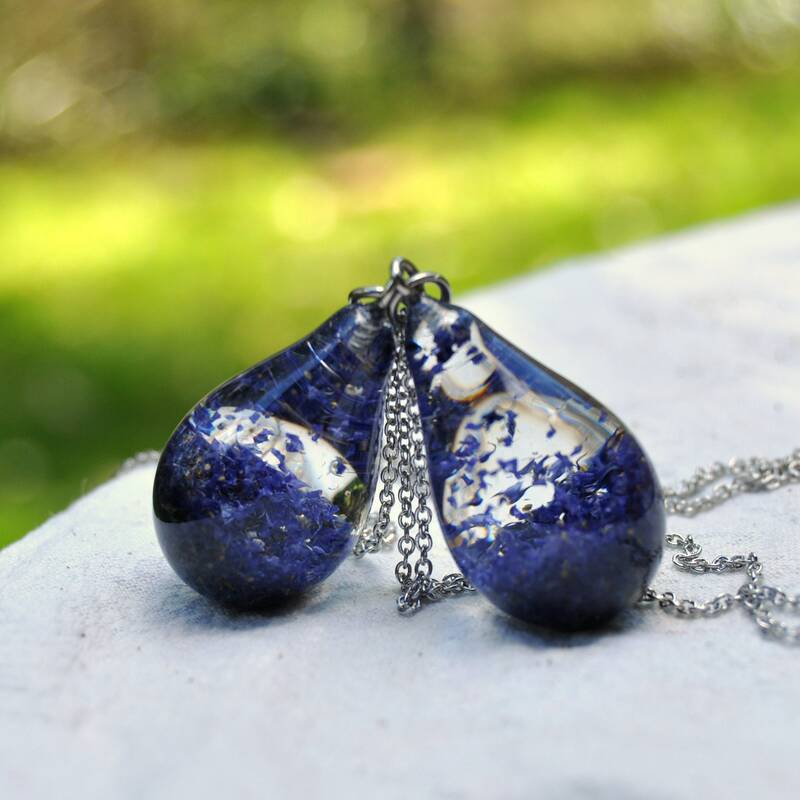 Each drop has been hand cast in clear eco resin, with the tiny blue flowers of the Wild Lilac encased and suspended inside. 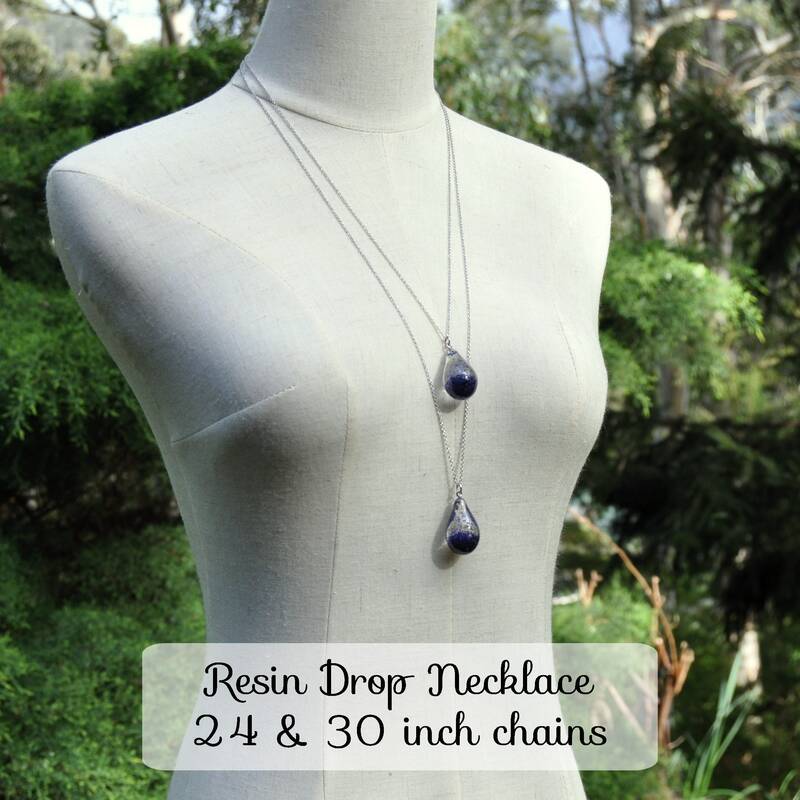 Each drop comes finished with non-tarnishing stainless steel elements, on a 24 or 30 inch surgical steel chain. 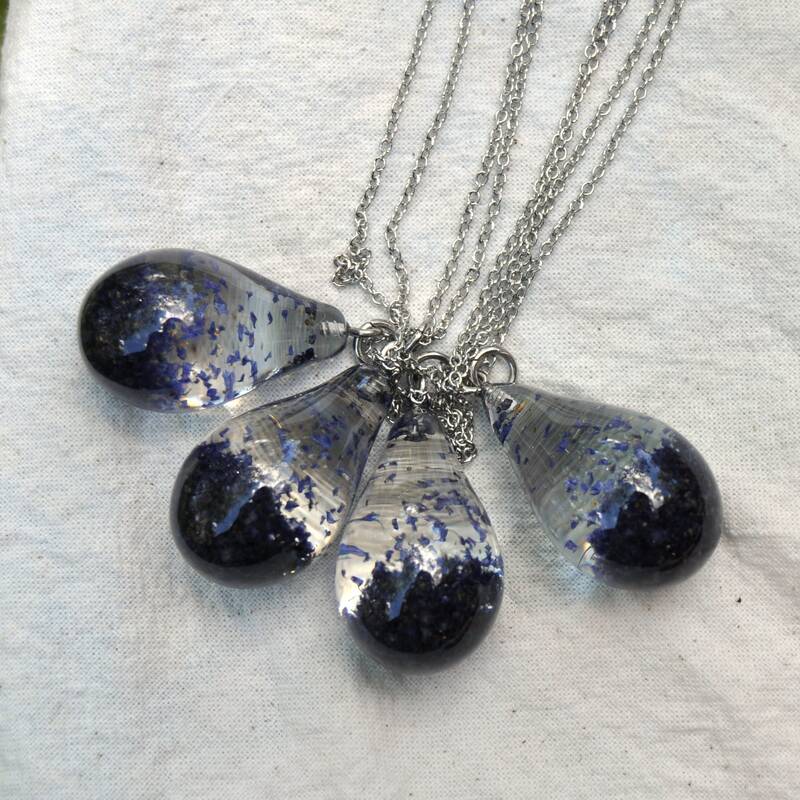 (If you would prefer a longer or a shorter chain, just leave me a note at checkout - I make all chains to order). 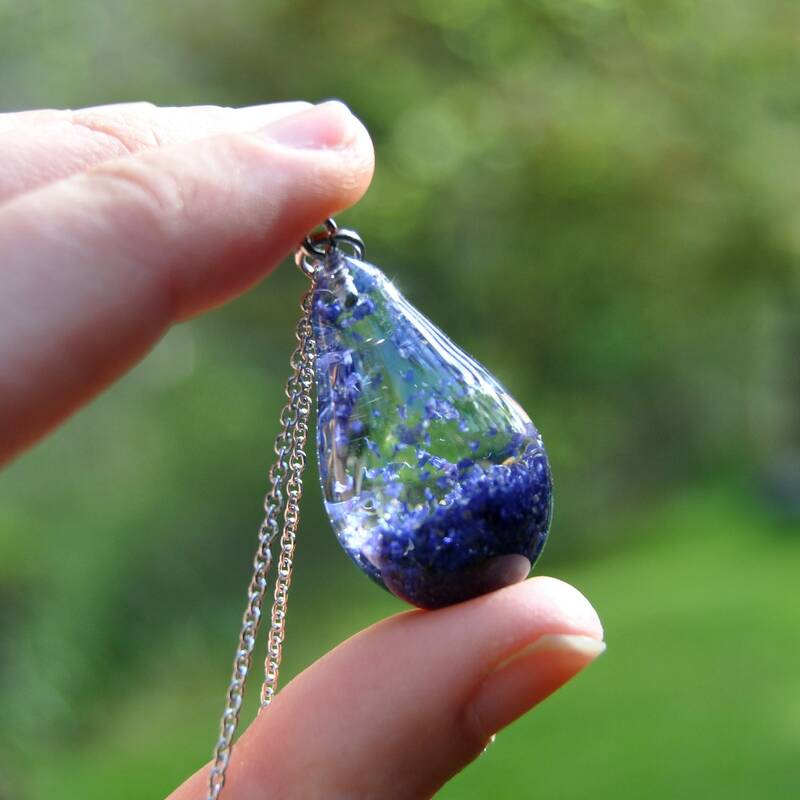 Each drop pendant measures about 37 mm long and is about 18 mm wide.